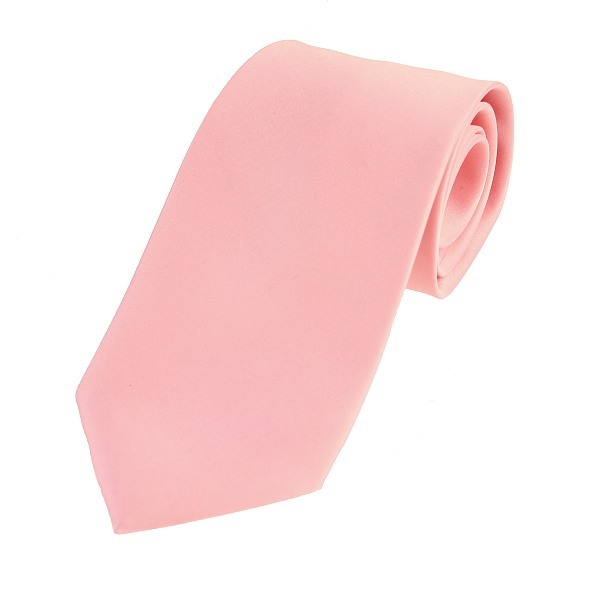 An attractive pink satin tie made from good quality material with a matt finish. Fully lined. Smart Knitted Pink Silk Necktie with a neat Square End. A bold tie which looks great with a contrasting pastel coloured shirt.